When men and women who lose a loved one cannot get past the pain and devastation, they may be suffering from a mental health condition known as complicated grief. If left untreated, this intense and persistent form of bereavement may continue indefinitely, possibly for years, putting sufferers at risk for many mental and physical health complications. But complicated grief responds well to psychotherapy, and no one who experiences its stressful and troubling symptoms should have to suffer indefinitely. The death of a loved one is an emotionally traumatic occurrence, and no one gets over such a loss quickly or easily. At some point, however, acceptance should come and the grief should diminish in intensity. But sometimes, grief is so powerful and overwhelming that its potency doesn’t fade with time. In fact, the sense of loss may grow in strength as the months pass, to the point where it becomes a constant and most unwelcome companion. When men and women remain haunted by remembrances of their departed loved one, and experience their bereavement as a permanent, debilitating aspect of their personalities, they may be suffering from complicated grief, a largely unknown but still common mental health condition. As of now, complicated grief is not an officially sanctioned diagnosis. But the feelings it creates are real and their effects unquestionably devastating, and those caught in the grip of persistent, unending grief are unlikely to recovery without assistance. Somewhere between 15 and 20 percent of those who lose a loved one will experience complicated grief. At any given time, approximately 60 percent of Americans will have lost someone close to them and passed through some period of bereavement—and up to one in five will struggle with the harsh symptoms of complicated grief. Over any 12-month period, about 2.5 million U.S. residents will pass away, and that can be expected to produce an additional one million complicated grief sufferers. According to existing research, somewhere between 21 and 54 percent of people with complicated grief will simultaneously suffer from major depressive disorder, while 30-50 percent will have post-traumatic stress disorder (PTSD). Bereavement has a natural cycle, passing through predictable stages. Its time scale will vary from person to person, but acceptance of the loss should come at the end. But for some people, the grieving process never reaches a conclusion. They become enmeshed in a state of profound and unresolvable sadness, and at this point their grief takes on all the characteristics of a chronic mental health disorder. If nothing changes, these symptoms of grief can become disabling and a significant problem that requires mental health treatment. People overwhelmed by grief for an extended period do sometimes choose to end their own lives, so talk of suicide by men and women in mourning should always be taken seriously. Complicated grief is not, as of yet, an officially recognized diagnosis. But in the latest edition of the American Psychiatric Association’s Diagnostic and Statistical Manual of Mental Disorders (DSM-5), an equivalent disorder (Persistent Complex Bereavement Disorder) is listed as a “Condition for Further Study.” In future editions it will likely be accepted as a legitimate mental health disorder, as research continues to verify its reality and impact. Mental health professionals can and do unofficially diagnose complicated grief. For such a diagnosis to be made, three or more of its most distinctive symptoms must have been experienced for a period of one month or more, associated with a death that occurred at least six months earlier. Such symptoms are expected to manifest in the first few weeks or months following a devastating personal loss, but if they continue indefinitely complicated grief is the probable explanation. Ultimately, complicated grief is an unpredictable condition, and depending on the circumstances anyone could be potentially vulnerable. If an individual is already suffering from depression or another mood disorder when a death occurs, they face an elevated risk for complicated grief. But depression can also develop in the wake of complicated grief, as a reaction to the mind states it creates. 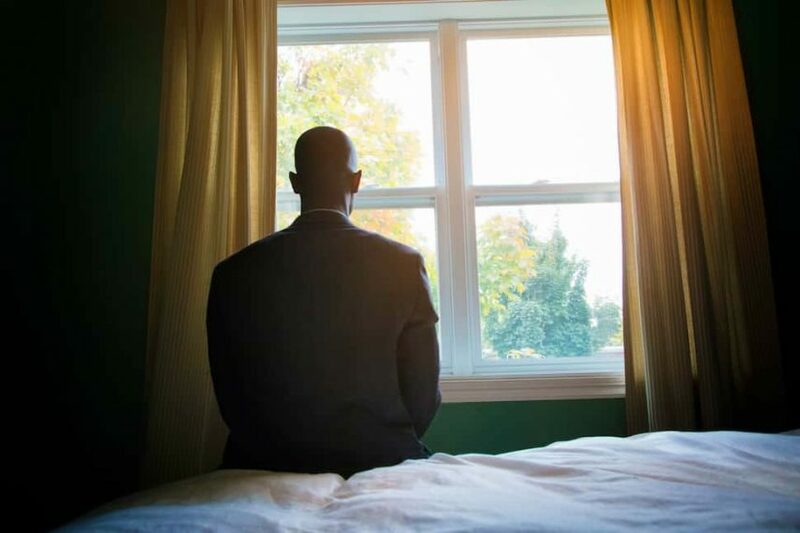 Regardless of its time of onset, depression will complicate recovery and require additional treatment efforts beyond any grief-specific therapy. Post-traumatic stress disorder (PTSD) is another mental health condition with an established connection to complicated grief. When the circumstances of a loved one’s death are especially traumatizing, PTSD and complicated grief might develop in tandem. In other instances, previously-existing PTSD makes people exposed to losses more vulnerable to extreme and enduring grief. The association between substance abuse and mental illness is well-known. Approximately 40 percent of men and women with a drug use or alcohol use disorder suffer from a co-occurring mental health disorder, which highlights how often people experiencing mental health symptoms turn to drugs and alcohol to relieve their pain. This strategy is ultimately destined to fail, and those suffering from complicated grief can easily lose control of their drug and alcohol consumption if they follow that dangerous path. In addition to its impact on emotional and psychological states, powerful, persistent grief can also have a deleterious effect on physical health. 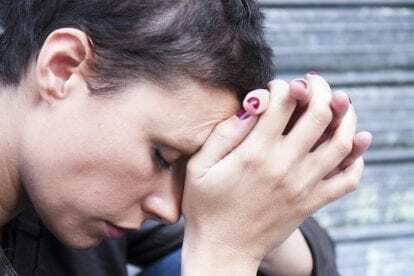 Research has found a connection between intense grief and increased risk for heart disease, cancer, and high blood pressure, and it may complicate recovery from any serious form of illness. People swallowed up by grief tend to lapse into poor dietary habits, and they often suffer from serious bouts of insomnia because of their turbulent emotions. Technically speaking, it isn’t possible to receive a dual diagnosis for complicated grief and another mental or behavioral health disorder. But those who demonstrate the symptoms of persistent grief plus additional mental health issues will need to receive treatment for each condition, if wellness and peace of mind are to be attainable. Regular, intensive psychotherapy will be at the core of any complicated grief treatment regimen. Psychiatrists and psychologists treating people with persistent grief will use similar techniques to those recommended for patients suffering from depression or PTSD (the two disorders that come closest to matching the symptoms of complicated grief). But any therapies offered will be specially customized to address intense grief as a unique and disabling phenomenon with its own distinct characteristics. Patients with complicated grief can benefit from group therapy and family therapy as well as individual therapy. Too often people experiencing intense grief suffer alone and in silence, but group and family therapy will allow them to interact with others who either share their sense of personal loss or have gone through the same things in their own lives and families. It may take months of therapy (or more) before patients with complicated grief begin to show signs of improvement. To increase the likelihood of recovery, those suffering from complicated grief should begin the healing process in a residential, inpatient treatment program organized and administered by trained personnel at a mental health treatment center. This can be especially helpful if a co-occurring disorder has been diagnosed and integrated treatment services are required, or if antidepressants have been prescribed to help the patient cope with their symptoms. Medications prescribed for grief produce inconsistent results (in other words, they work for some people but not for others), and those taking them should be carefully monitored in the early stages to see to make sure the drugs are really helping. Yet another advantage of inpatient treatment is that it lets patients investigate holistic healing methods, which are usually offered by residential treatment centers. Activities like meditation, biofeedback, yoga, arts therapy, fitness training, and massage therapy can help anyone become more centered and emotionally-balanced, including those who are feeling overwhelmed by bereavement. Complicated grief is, in fact, a complicated problem, and it is not the type of condition that can be wished away, or that will just disappear with time. But with expert assistance from mental health professionals, and support from peers and family members, men and women suffering the disabling symptoms of complicated grief can learn to move past the pain and move on with their lives. Grief is a natural human emotion, but it should never be accepted as a lifetime companion.